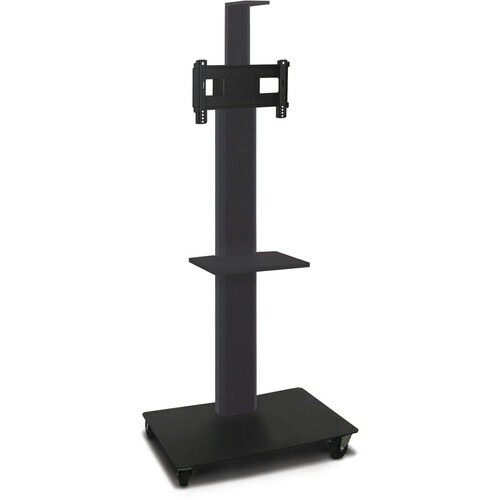 This Mobile Flat Panel Monitor Stand from Marvel accommodates 26 to 32" monitors, and has a mounting height of up to 65", measured from the screen's center. The stand was designed for use in video conferencing, mobile digital signage, classroom, and visual presentation environments. Constructed of steel, it features a height adjustable bracket, built in cable management, accessory shelf, camera shelf, and is finished in dark powder coat.